If you're tired of losing your hair ties, bobby pins or headbands, then it's time for you to get organized! 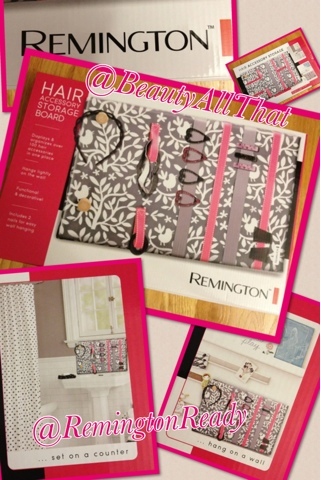 Remington Hair Accessories Storage Board is the perfect addition to your vanity, bathroom, or closet wall because this it keeps all of them in one place! Available on the Remington website and Walmart, this cute accessory holder can display all your favorite hair accessories so you never need to dig around. Everything is clearly shown and what a great decorating piece as well. I can also see myself using this to place photos and jewelry (if you don't wear hand bands) just in case you can't fill it up. 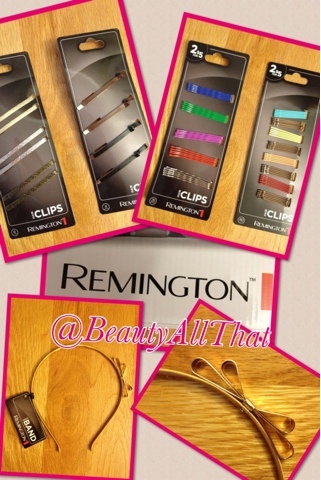 Remington also makes some fun accessories, including brightly colored bobby pins, headbands and metallic clips!